The following opportunities for service are available through St. John’s Homeless and Feed the Hungry programs. For more information, please email the contact person listed below or call the Parish Office at 781-235-0045. 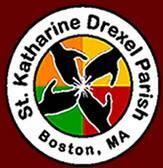 This ministry reaches out to provide a food pantry collection for Saint Katharine Drexel, our sister parish in Roxbury/Dorchester, thus touching hundreds of lives, building hope, and easing hardship. The Food Pantry Collection takes place on the second Sunday of each month. Parishioners bring donations of non-perishable food items to our Glen Road entrance, and volunteers deliver the food collected to Saint Katharine Drexel. Driving donated/collected items to the Catholic Charities office in South Boston. Soliciting local merchants for needed items. To learn more about this issue, please visit the U.S. Conference of Catholic Bishops website for Migration and Refugee Services. For More Information: Please contact the Service Commission with any questions and to get involved with this ministry. 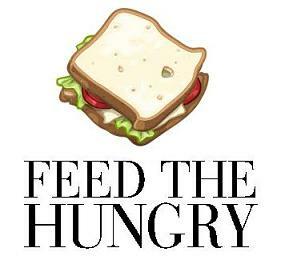 Since 1995, our parish has served the homeless by providing sandwiches for the Bristol Lodge in Waltham. The sandwiches are distributed to the clients of Bristol’s various programs for the needy and provide a nourishing midday meal for the residents of shelters which are closed during the daytime hours. The program has expanded in recent years to include the other churches in our area. St. John’s provides hundreds of sandwiches on the 4th and 5th (when there is one) Sundays of each month. When are the sandwiches collected? On the 4th and 5th (when there is one) Sundays of each month at approximately 2:30pm in the afternoon – see below. What type of sandwiches are needed? Simple sandwiches like ham and cheese (no condiments). They should be wrapped. Where and when do I drop off the sandwiches? Sandwiches may be placed in the refrigerator in Powers Hall (lower level of the church) on Sundays before 2:30pm in the afternoon. For More Information: Please email Liz Phillips.